Interviewer – Can you provide me with a description of your business? 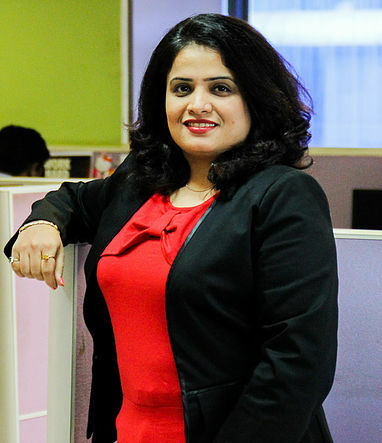 Ms. Vrutika Dawda – IdeateLabs is a full service, independently owned, digital marketing shop that specializes in strategy, design, and experience. It personifies a unique combination of Data, Intuition, and Creativity, blending Science with Art; and hence the name of the company. Our clientele ranges from some of the biggest brands to innovative start-ups such as HDFC Bank, Tata Teleservices, Fullerton India, Sterling & Wilson, AutoDesk, Hiranandani Communities, Brand Factory, Edelweiss Tokio, Hafele, Kalpataru, Franklin Templeton to name a few. Established over 2 decades ago, we have been helping clients innovate in the digital-first world. We have expanded our offices in Mumbai, Dubai and Singapore with a team of over 200 professionals lead by a group of Business Heads, each of who is an independent SBU Owner, driving it with complete autonomy. We offer and deliver all solutions from strategy to execution, from audit to implementation. We have developed our proprietary tools and software in the space of brand monitoring (Reputome) as well as analytics and campaign management (iCogz). Both the products are being commercially marketed by us. We offer these licensed products as well as managed services, linking remuneration to performance across all the business domains. Interviewer – How did you get started in this business? Ms. Vrutika Dawda – I joined IdeateLabs as a Finance Manager. My ability to excel and adapt to a fast-paced environment instantly gave me the competitive edge to become a game changer. In a short span of 6 years, I was promoted to join the board of the company. My entrepreneurial journey began since then. Before my stint with IdeateLabs, I worked at Reliance Infocomm and was responsible for automating and setting up internal processes for procurement of Broadband Products and Services. At GroupM, I was the core team member for the Specialist Units (all non-print) and was the lead in setting up the Commercial and MIS processes, as well as automating multiple functions that were traditionally manually driven. With a deep-rooted interest in numbers, I began my professional journey as a math professor for various private coaching classes, post which I made a career shift into the finance industry. Now at Ideatelabs I am actively involved in running the company’s Corporate Affairs, Corporate Finance, Legal and Compliance, (amongst other things), but my core role is to look after the overall business operations. Interviewer – Why do your customers select you over your competitors? Ms. Vrutika Dawda – Because we are so passionate about what we do! We believe that planning and proactively adhering to the sketched action plan are the keys to obtain the targeted results. Our core competency lies in being able to create innovative campaigns and achieve path-breaking return on investments. The name IdeateLabs refers to the combination of art backed with science. We focus on integrating data, intuition and creativity in everything that we do. Interviewer – What are the biggest issues for running this business? Ms. Vrutika Dawda – The digital industry is extremely dynamic in nature. It becomes inevitable for the team to be constantly updated on the latest trends and developments. Building a strategy by maintaining the level of creativity is something that the brands appreciate. Hence, we overcome this challenge by training and developing our team to match up to the client’s expectations. Interviewer – What suggestions would you like to give to the young budding entrepreneurs? Ms. Vrutika Dawda – You need to love what you do, for me that is essentially the core of being successful. Of course, hard work never hurts! Also having a team that is aligned to the overall business goals and works in tandem with you to achieve them is of prime importance. Patience is the key to success. Determination, welcoming feedback and suggestions for improvement are a must have for budding entrepreneurs. An entrepreneur must excel in team leading skills. Showing responsible attitude and motivating the team members can make wonders happen!